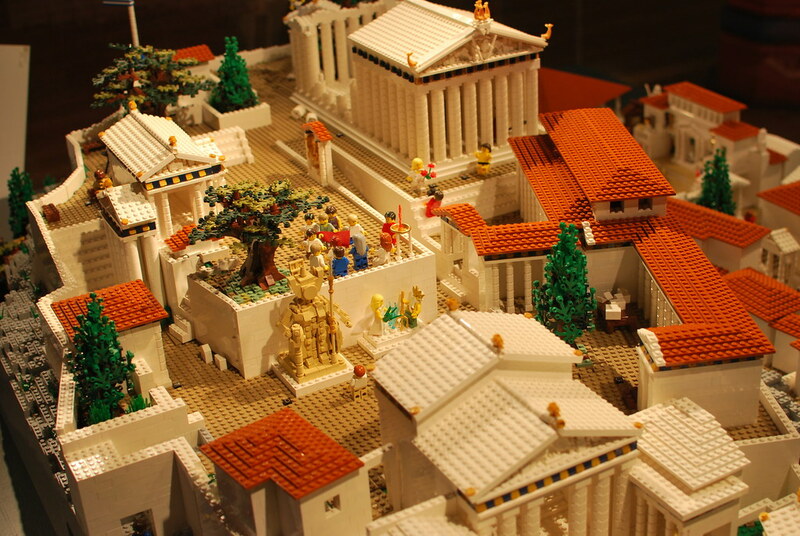 This afternoon, Clara and I headed to the University of Sydney Museum to check out their LEGO Acropolis exhibit. Hey floor, I heard you like jaw! has turned his hand to one of the most iconic architectural monuments of Ancient Greece – the Acropolis! visitors including Pericles, Lord Elgin, Dame Agatha Christie, and even Elton John. 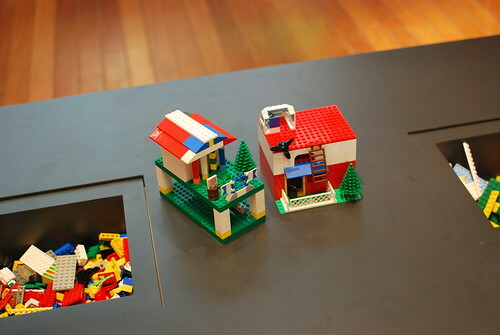 Beside the stunning model were tables and chairs with LEGO bricks. Naturally, Clara and I proceeded to spend the early evening building. Clara built a flying house; and I attempted my own Greek building. You can view our efforts (and theirs!) in my Flickr gallery.